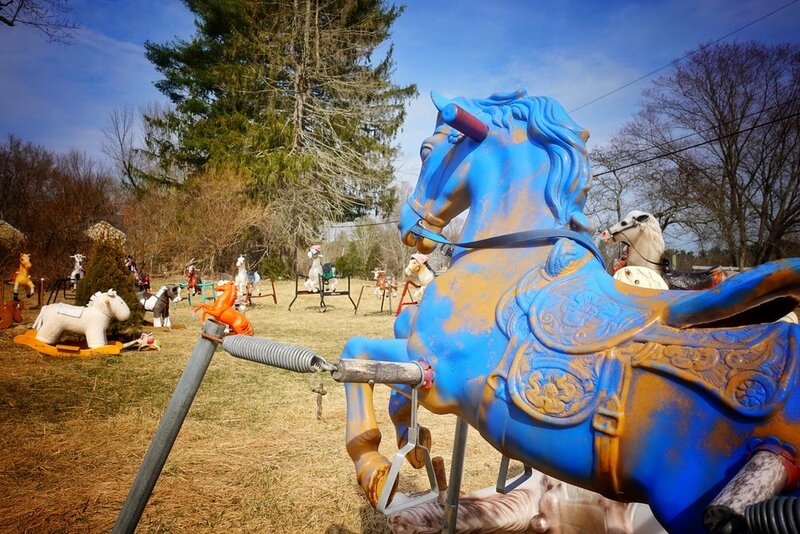 Outside of Boston is a special place where rocking horses go to retire. They settle into the circle formation and become a part of Ponyhenge. This roadside oddity was hatched when the land owner had a haunted house event and had a headless horseman decoration. That horse was an old rocking horse. When the event was over and all was cleaned up that single rocking horse remained in the field. Didn’t take long for other rocking horses to start appearing; Ponyhenge was born. 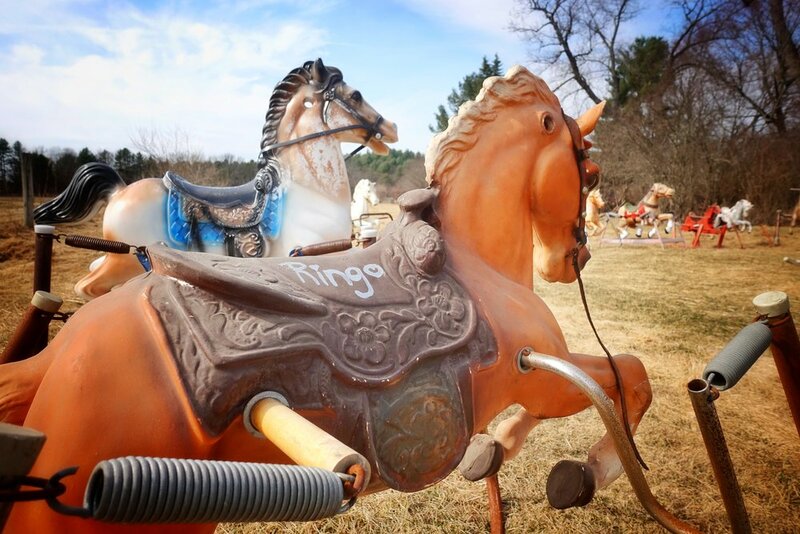 We had a great time visiting Ponyhenge last weekend and thank you to the land owner (didnt catch his name but talked to him for a bit) for your ongoing maintenance to this fun roadside treasure. Find it yourself, here is a map.